The last week of school before the winter break is especially busy. Decorating, rehearsing for the concert, finishing up work and trying to keep it all together – while happily smiling. There are three more days until freedom. Plus, we’ve been hit by two largish snow storms. Needless to say, the kids are interested in the snow more than anything happening in class right now. It’s hard to compete with snow. While pretty, the snow makes for an icy commute and below zero temperatures. You can find me beneath 6+ blankets on the couch, with the heater pointing directly at me. I hate to think of our heating bill this month – those long, hot, showers are everything. 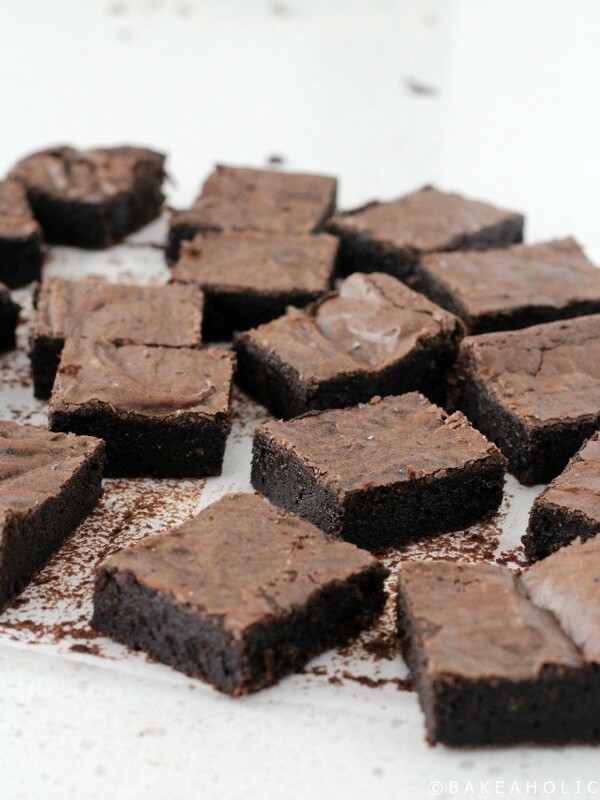 As are these brownies – they are everything you want in a gluten-free brownie. They’re rich, fudgey and have the quintessential flakey, sugary crust on top. The sign of a true brownie. All the holiday baking has been completed and is nestled in the freezer with hopes that Adam and I don’t eat them all before Christmas. So far, we’ve only snuck a couple brownies and Vegan Nanaimo Bars. The only thing I have left to make are the Pizzelle, which I like to make fresh a day or two before Christmas. And maybe another batch of Nonna’s Biscotti. Just in case. Us Italians like our Biscotti. If you haven’t finished your holiday baking yet, and need something truly decadent, these brownies are sure to please everyone. They would be cute boxed up as a delicious gift, too! 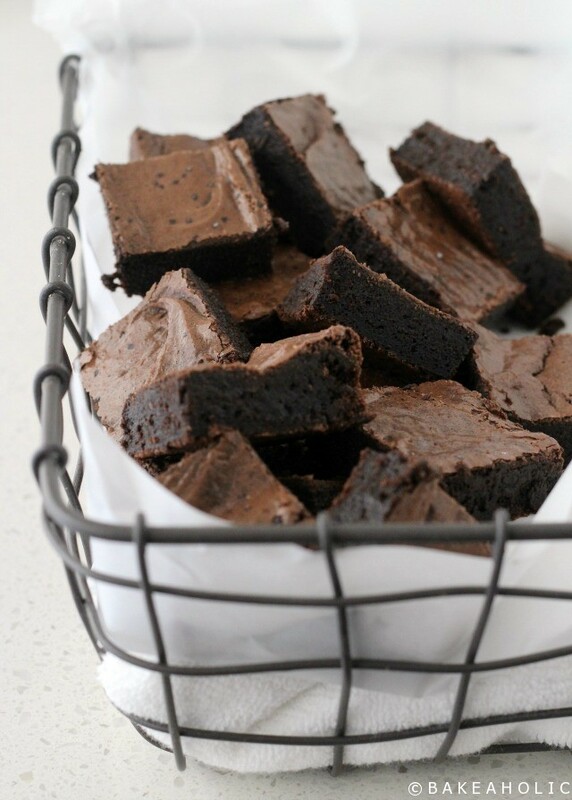 I’ve had some misses with brownies in the past, relying on my Black Bean Brownies, or Flourless Brownies when I wanted to make a batch because they always turn out great. 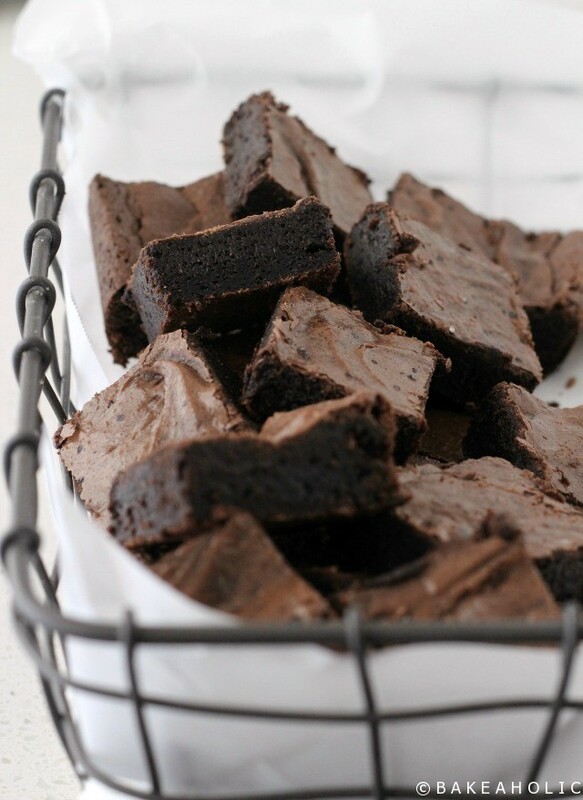 While both delicious, they just don’t replace that dense, fudge ‘real’ brownie. 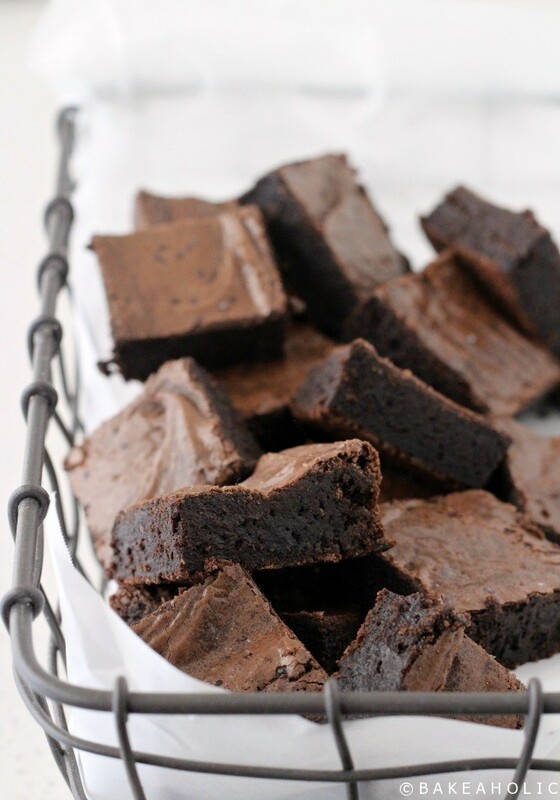 These brownies deliver the best of both worlds. 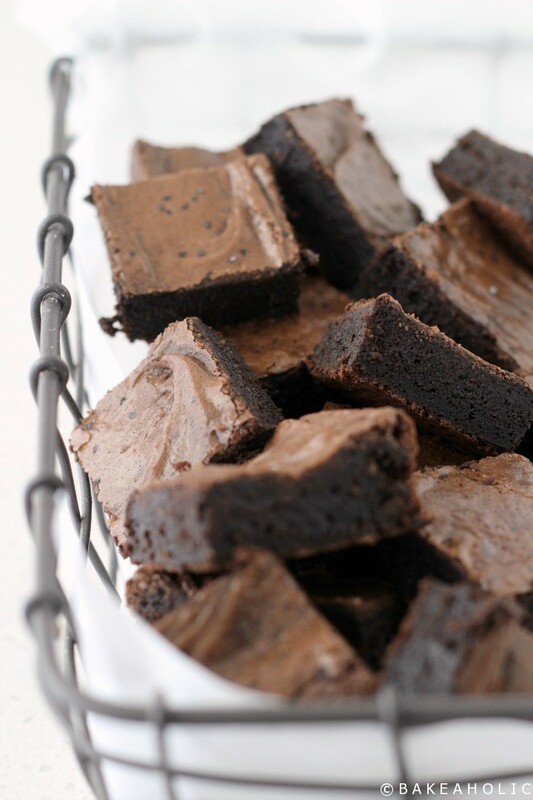 Rich, fudgey gluten free brownies. You'll never know the difference! Line a 9x9” pan with parchment. Place chocolate and butter in double boiler and melt until smooth. Alternatively, you can use a medium sized microwave safe bowl. Heat in 1 minute increments, stirring between each until smooth. Using hand held mixer, beat sugar into chocolate mixture, then beat in eggs until well mixed. Add the vanilla, cocoa, and blend until smooth. Add in the flour and blend once again. Pour batter into the pan. You can sprinkle a little sea-salt on top if you like. Bake for about 18-20 minutes until a toothpick comes out slightly fudgey. Do not over bake, otherwise you will get a dry cake-like brownie. Cool completely in the pan. Lift out with parchment and cut into squares. Store in an airtight container for a few days, or freeze for up to one month. The original recipe baked these for 22-25 minutes, but I always begin at 18-20 minutes, and add more time if needed. It's better to have a fudgey slightly under-baked brownie.